Running a retail business is no walk in the park, no matter the scale of your operations. If you are a manager or owner in the retail industry, you know best that the challenges comes from every corner. Understanding customers, markets and competitors, running daily operations, generating revenue and growth, dealing with employees, managing supply chains, business partners, and the list goes on. Moreover, the steady growth of e-commerce in recent years has brought profound changes and given rise to new rules of the game. Therefore, in order to successfully compete and thrive in this changing landscape, even the more established brick-and-mortar retailers are now busy with reinventing their businesses and improving their products, services and productivity. Along the process, they will also have to take a closer look at the staff, since these are the backbone of every store’s operations, as well as a significant operating cost. However, given that retail staff can be dispersed across many stores and wide geographical areas, there is a certain complexity to that. Picture this, when an Area supervisor needs to ensure that all stores are opening on time, they will probably need staff attendance data from the stores that they are unable to physically inspect. It does not stop there, others such as HR or Store managers also have use for and will need to access such information. 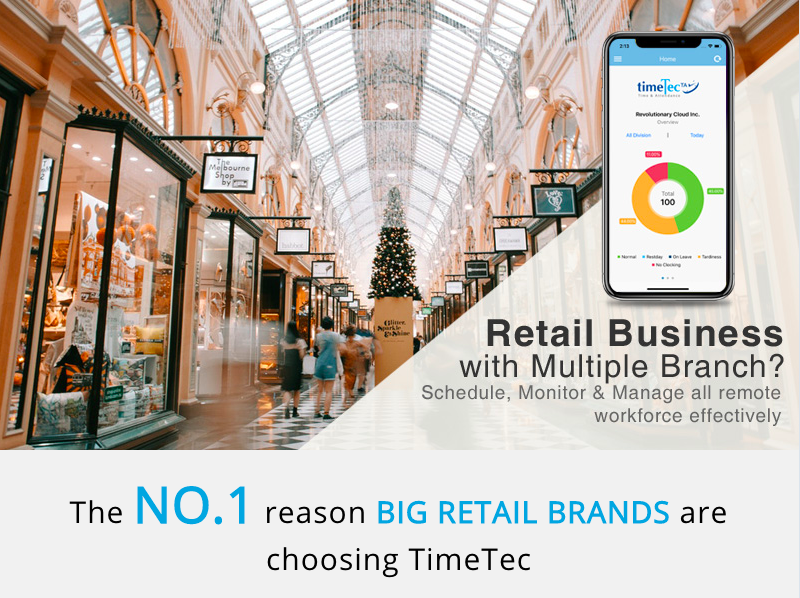 To address this kind of requirements, one option that retailers can consider is TimeTec TA, our cloud-based time attendance management solution. Pain Points for Attendance Management in Retail and the Solutions Offered by TimeTec TA. As pointed out earlier, having multiple stores all over, possibly even across different countries and time zones, makes it difficult for a company to keep track of attendance. Payroll is also usually processed at headquarters or in a shared service centre, so to get things done on time, with minimum errors, it is crucial to collect and manage attendance data on a centralized system. TimeTec TA enables this, by storing data from all your separate offices and outlets on a cloud server, where it is accessible from anywhere, at all times. You receive the information in real-time and will rely less on key employees having to manually prepare reports and sending them over. What’s more, this is achieved without you installing hardware or software and neither do you need to worry about backups. In any retail business, there are many roles, back office staff, procurement, marketing and events, logistics, merchandisers, sales or operations team, area supervisors, store assistants and etc. Some of them are not based in a fixed office, at least not all of the time. If you require all employees to clock in for work without fail, including the mobile staff, you need to provide suitable clocking channels to accommodate their work nature. With TimeTec TA, employees can clock using 5 clocking options, namely biometrics, web clocking through a PC, and 4 clocking options through a smartphone; Beacon, NFC tag, GPS and Wifi. There will be no excuses for not reporting in, even while on the go. To monitor movement of your mobile staff, give them the option of clocking with GPS from their own phone, no other device required. For retail companies, scheduling can be quite complicated, unpredictable and subject to last minute changes, due to a host of factors such as constant turnover, higher proportion of part-time staff, shift swaps, flexible off days and seasonal demands. Delegation is another tricky element. Store managers should rightly participate in setting work schedules/rosters since they oversee daily operations but the supervisors back in HQ must not overlook this as they have to answer for the staff cost and performance. If not managed well, many things can go wrong: miscommunications, store opening late, understaffing and excess overtime cost, just to name a few. 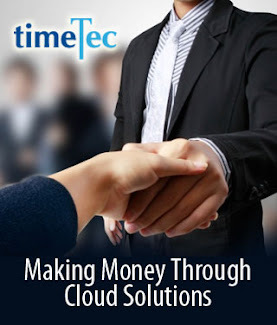 Therefore, you need a flexible system like TimeTec TA that takes care of all the different scheduling requirements. You can create weekly, daily or flexi schedules suitable for various groups of staff and allow Store managers to manage weekly rosters for their team. On the other hand, supervisors at HQ can ensure work is proceeding according to plan, schedules are applied uniformly throughout the branches, compliance with labour laws, staffing sufficiently meets crunch time demand, arrange staff transfers and approve any changes Store managers puts in. For better monitoring, there are also functions for overtime approval and notifications of tardiness and absence. Sometimes, attendance data loses value if it is not timely and does not reach the right people. While HR department or payroll will have a copy, how about all the various HOD, Store managers and even staff themselves? By keeping information flowing one way only, with no checking or confirmation from outlet supervisors or employees, there is no guarantee that it is accurate and could be fully relied on for payroll purposes. If there are any issues, the people-in-charge may not notice in time, to take appropriate action. TimeTec TA is a multi-user system, where every employee is given access and can login to view data in the system. This means users can check their own data accuracy and provide feedback, to ensure transparency and promote better engagement. Furthermore, the system is controlled by access levels, so you can assign Admins that will be permitted to view information for their own teams. Using a time attendance system that requires you to register staff separately in branches and in other places may not be a big deal, but it could be inconvenient if you always have to transfer staff around. If the user data can’t be synced, you have to repeat the registration at each new place or otherwise miss out capturing their attendance. This is not a problem in our cloud-based solution. Only one time registration is required and the employee can be moved and synced to any branches easily, accurately and effectively. 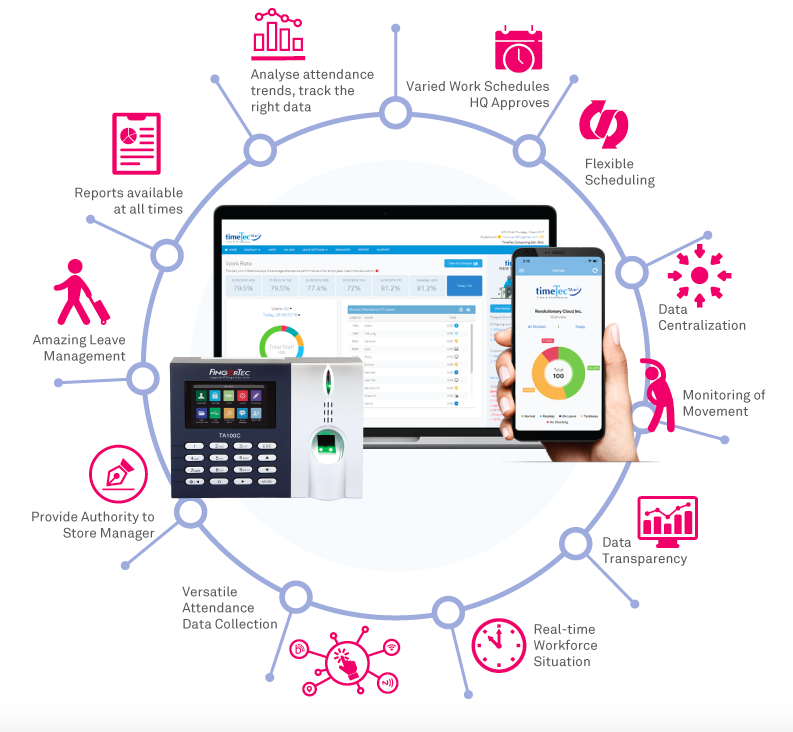 Ultimately, the main purposes for implementing any attendance software still lies in the need of management to have a clearer picture of what is going on in the workforce and also to have reliable data for payroll computation. Without a proper tool, it is difficult to get answers you need. For instance, our example earlier regarding Area supervisors that are tasked to ensure stores are following business operating hours. All the time. It requires comprehensive data and reports and may be hindered if supervisors do not have access to generate reports on their own, there is only information on some branches but not others, waiting time, errors and etc. TimeTec gives you the ability to view the overall workforce situation at any time, whether through Web or the Mobile app. Information is updated immediately and authorized Admins will be provided access. With this, they can now see the number of staff actually available on the shop floor, every single day, for every branch. The data is free from manipulation, and various reports can be generated according to needs, all the way to export for payroll. On the opposite side of attendance, there is leave, which is an essential aspect of workforce management. When it comes to leave management, some may choose to stick with a manual approach. In that case, it means many hours of administrative work, to compile and process leave application from all outlets, leaving you with potentially outdated or inaccurate records. Not only that, manual forms can be misplaced and delay in submission will affect the employees leave plans. At the end of the day, only HR keeps the current details on everyone’s leave balance, so all enquiries must go there. TimeTec TA provides ways for your staff to plan for holidays and leave with the inclusion of TimeTec Leave under one platform. Through the automated system, all leave applications and approval is managed through the Web or Mobile App. HR will have less to handle, yet they can monitor the process straight from the HQ. Additionally, latest information can be shared, managers can use it for planning work allocation and employees can view their own records at any time. 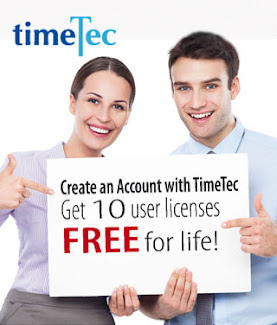 Lastly, if you wish to experience for yourself how TimeTec TA can help you, get a free trial today at https://www.timetecta.com/free_trial or contact us at info@timeteccloud.com for consultation.